The auroras also known as the northern and southern lights are some of the most spectacular skywatching experiences on the planet and never fail to delight observers lucky enough to see them. Auroras can be green, red or blue and often they will be a combination of colors. 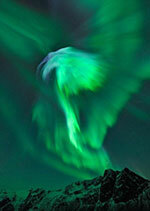 The Vikings thought that auroras were reflections off the armor of the mythical Valkyries. To the native Eskimos of Greenland and nearby Canada, auroras were communications from the dead. To American Indians, they were lights from huge campfires far ­to the north. 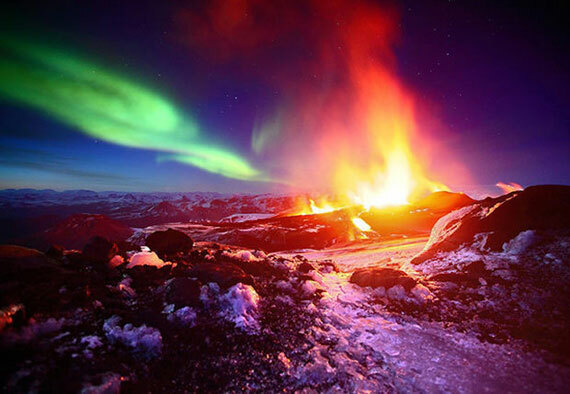 In medieval times, auroras were omens of war or disasters, such as plague.